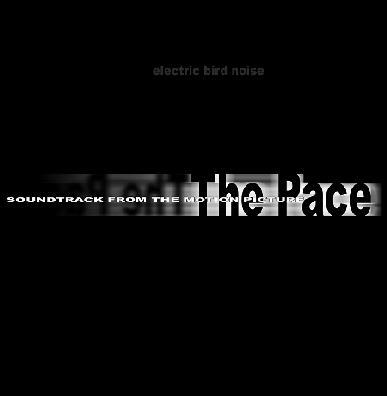 Electric Bird Noise - "Soundtrack from the Motion Picture: The Pace"
I first heard Electric Bird Noise several years ago when they sent me their Unleashing The Inner Robot CD. To save my life I couldn't find the CD to revisit while preparing this review, though my memory was more or less refreshed by reading my review (see AI #7). Soundtrack from the Motion Picture: The Pace is this South Carolina based band's second album, originally released on the Artfag label and now available as a digital download album from No More Stars Records. "Feeling Krafty" opens the album and is a brief, quirky, electro new wavey instrumental. I dig the catchy robotic melody. "G Minor C Minor" is next and is a slow but powerful song that reminds me of the "cinematic instrumental guitar music" description I received from the band with the first album back in 1999. Really nice melodic yet cosmically dreamy (NOT shoegaze!) guitar driven music with a dark gothic flair. "Your Sad… Tired… Beautiful Eyes", "Cubism" and "February 23rd" are more short tunes, featuring solo guitar that struck me as a cross between dreamy space and a sort of light jazz melodic hook. So simple and yet so beautiful. All speak volumes in just 2-3 short minutes. "1918" is another solo guitar piece, but much more sparse and a wee bit on the experimental side. Still very melodic but blends in sound-art elements to interesting effect. So we've got all these relatively short guitar dominated statements and then we get to the last track, "Le Vestibule", which is an epic 26 minutes long. This is VERY different from the previous tracks. It starts off noise-droney, but quickly adds spacey keyboards that are like a cross between early 70's Berlin school and symphonic progressive. Eventually it settles into a meditative space ambient theme, though all the while accompanied by the harsher elements, which adds the "Noise" to the Electric Bird gang. Lots of impressive focus on tonal qualities and floating cosmic drift that succeeds in finding the perfect middle ground between avant-garde sound exploration and mantra inducing ambience. Early 1980's Alien Planetscapes often came to mind as I floated along with this piece. Very nicely varied and well conceptualized throughout its 26 minutes. Really, the earlier tracks might as well have been a different band, as different as they are from "Le Vestibule". But no matter, I quite enjoyed both sides of the band. For more information you can visit the No More Stars Records web site at: http://nomorestarsrecords.com. Email Electric Bird Noise at: enat21213@aol.com.